RSteven, melstapler and The Killer like this. RSteven, Mr. H, Martin Byrne and 6 others like this. Was this the Patsy Cline scenario? RSteven and melstapler like this. Definitely. I'd be curious to learn more about Richard. Does he have any children and if so, are they continuing his legacy in the world of reissues? No. The Patsy set was cancelled because someone didn't want to license the material. RSteven, melstapler and Rick Bartlett like this. Thanks Mychael for the reply. Such a shame! RSteven, spanky1 and melstapler like this. That's my point. Some refuse to license, some charge too much, some want to limit it, etc. AlmanacZinger, The Killer, Mr. H and 3 others like this. The Killer, RSteven, Dave Garrett and 5 others like this. 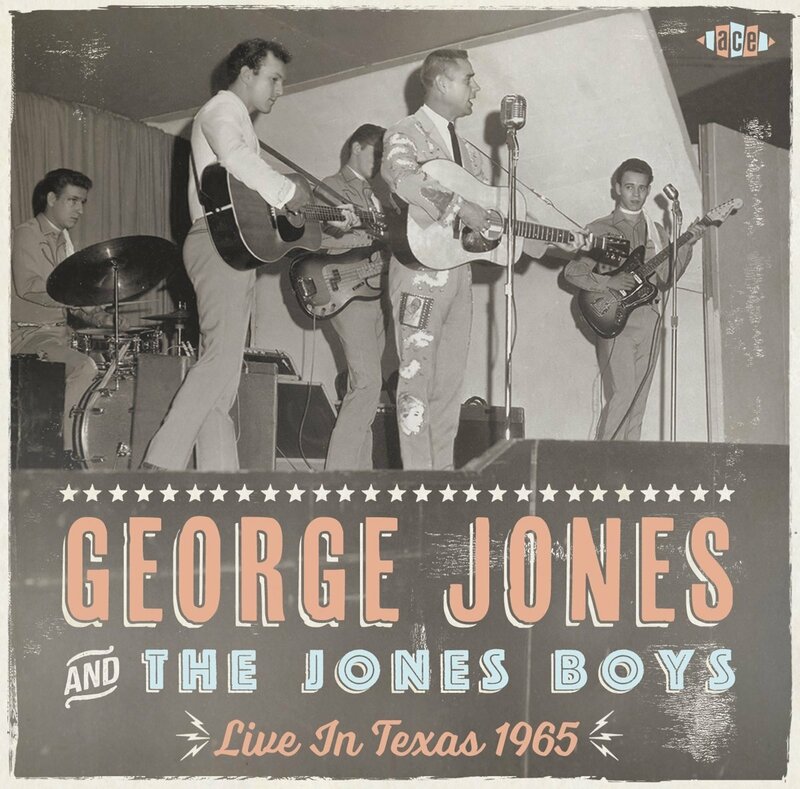 Ace rather than Bear, but still one of the finest surviving documents of live country from the 60's. The Killer, RSteven, jimbo3688 and 3 others like this. ACE is the second record company i buy most of after Bear Family my music that is being reissued. AlmanacZinger, The Killer, RSteven and 3 others like this. The Killer, RSteven, Mr. H and 6 others like this. Louvin Brothers is still my fave of all time. melstapler, The Killer, Mr. H and 2 others like this. Definitely one of my favorites also. Sometimes I get so hung up on the search for the next set I'm going to buy, I forget about how much I actually have and how much I enjoy these sets. They fit into several different categories. The first is the sets I have like all of the Hank Snow sets, Lefty, Ernest Tubb, Faron Young (due to it being out of sequence), Marty Robbins (due to it being a hodge podge of recordings and not complete recordings) and others that kind of bog down in spots due to spotty material. These are the sets that I pick and choose songs to listen to. Awesome sets though. One set I have so much trouble listening to is the Ray Price set. When I first bought it, I noticed on songs like "Under Your Spell Again," the background vocalists weren't there like in the versions I remember. I have kind of put this set on the back burner for a while. Plus I kind of burned myself out on Ray Price years ago, but I will definitely get back in the groove for it one day. Then when I get to sets like Johnnie and Jack, I can listen to it from start to finish and follow along in the book, which to me, is the best book in a Bear Family Set. Johnnie has comments and stories for 99% of the songs. Other sets that I can listen to start to finish are Floyd Tillman, Merle Travis, Tennessee Ernie Ford and Stonewall Jackson. It took me a while, but all 3 of the Buck Owens sets are like this also for me, even with the Buckaroo Lp's thrown in the mix. I had the George Hamilton IV set since like 1996, and just a few years ago, I finally got into it. The book itself was worth the price alone. The Tennessee Ernie Ford set is totally another I love from start to finish. Incredible stuff. maloney, Mychael, RSteven and 1 other person like this. melstapler, RSteven, Monkadee and 1 other person like this. 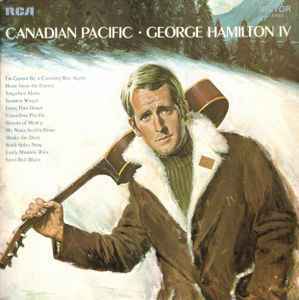 I never knew much about George Hamilton IV, he only had a couple of hits down here. One day scrounging through a second hand shop, I picked up a pretty used US copy of 'Canadian Pacific'. Somebody loved this thing, as it looked pretty well used, split spine and all. I gave it a spin, and it played great! and boy was I delighted with the album. Must be those great deep groove records. The album has since had a lot more miles on it, and I still think it's a top record. Haven't spun it in a while, but I remember the album having little or no filler tracks. maloney, Svein Arne, melstapler and 3 others like this. maloney and baptistbusman like this. I was lucky enough to see George Hamilton IV a few years ago at the Grand Old Opry! RSteven, Rick Bartlett and baptistbusman like this. Is that photo from the actual gig documented on the disc, or just from the same general timeframe? They'll get my BF Louisiana Hayride box and my Mosaic Ellington sets when they pry them from my cold, dead fingers. pudgym, melstapler, Dave Garrett and 3 others like this. I should add that the Bear was after your Ellington sets.